IFTTT: IFTTT is super easy to use. As the name suggests, you set up a trigger: that’s the “if.” Then you pick a reaction, that’s the “that.” IFTTT supports 320 popular services, including Dropbox, Drive, WordPress, Twitter, and plenty of others. IFTTT calls these “recipes,” and you can browse recipes made by other people, which makes it easy to come up with ideas for how you can use the service on your own. On top of the web site, IFTTT also has Android and iOS apps so you can take the experience on the go. IFTTT is free. On Android, IFTTT and Tasker work very similarly. Zapier: Zapier works just like IFTTT, but instead of “recipes” the service calls your actions “zaps.” Zapier focuses more on business app integration, so it supports niche corporate apps, like Recurly, HelloSign, and MySQL. Zapier is also more customizable. Where IFTTT limits itself to two steps (this happens, then that happens), Zapier supports multi-step zaps (this happens, then that, that, and that). That said, Zapier doesn’t have mobile apps. It’s also not free. While Zapier has a free plan, it limits you to five zaps at once, locks off access to certain apps, and can only make two-step zaps (just like IFTTT). For $20/month, you unlock Zapier’s real power, including access to all 500+ app integrations and multi-step zaps. Microsoft Flow: Flow is the newest automation tool on the block and it’s the most limited. As you’d expect, Flow’s strength is its integration with Microsoft apps and services. Flow works like IFTTT, with two-step automation recipes called “templates.” Also like IFTTT, you can browse other people’s templates or share your own. Currently, Flow is a “preview” build on the web, which aside from being a bit limited in scope, also limits it to work or school email accounts. Chances are, that doesn’t include you, unless your company is deep in the Microsoft ecosystem or you’re a student. But hey, at least there’s also an iPhone version. For now, Flow is free as long as it’s in preview. 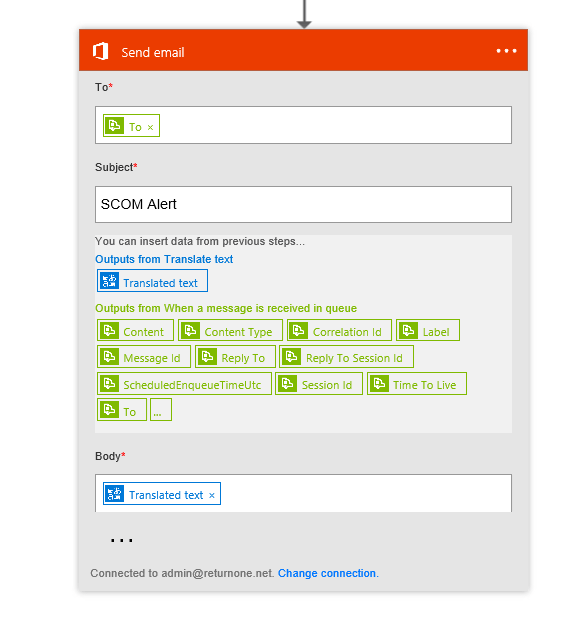 In our example I will use Microsoft Azure Service Bus, PowerShell, Microsoft Flow, Office 365 to help my old friend SCOM to translate alerts in many languages. Sounds cool? Yes it really is! 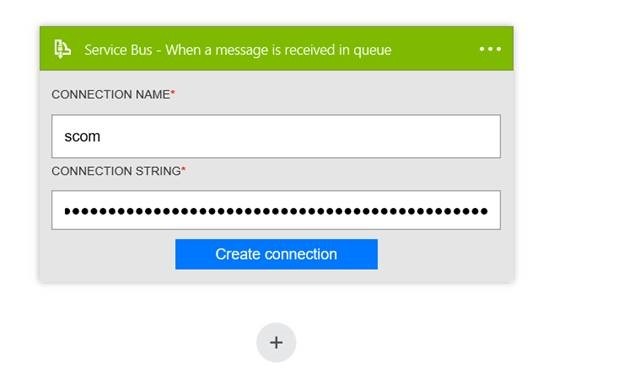 First we need to setup Microsoft Azure Service Bus Queue. So what is Service Bus (Source)? 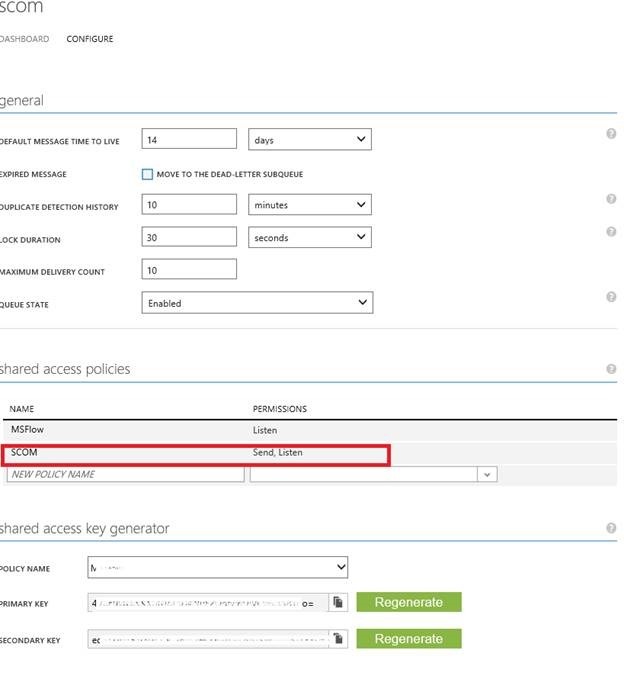 Service Bus is a multi-tenant cloud service, which means that the service is shared by multiple users. 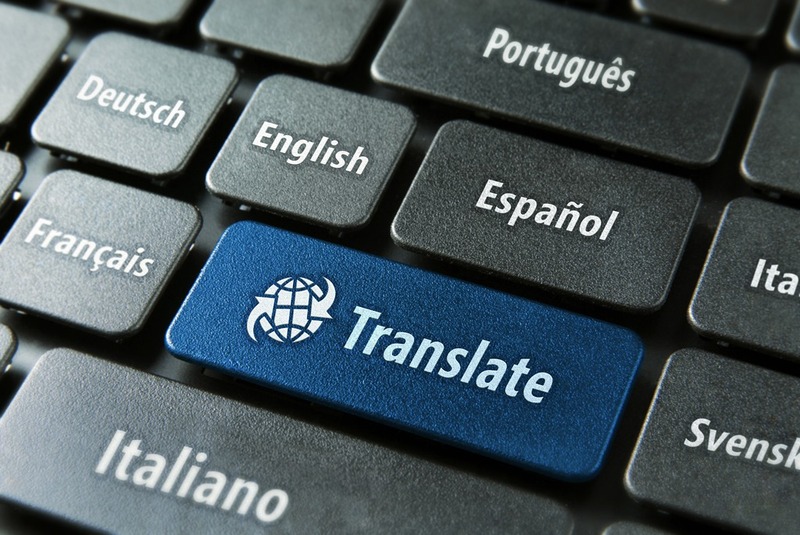 Each user, such as an application developer, creates a namespace, then defines the communication mechanisms she needs within that namespace. shows how this looks. Relays, which provide bi-directional communication. 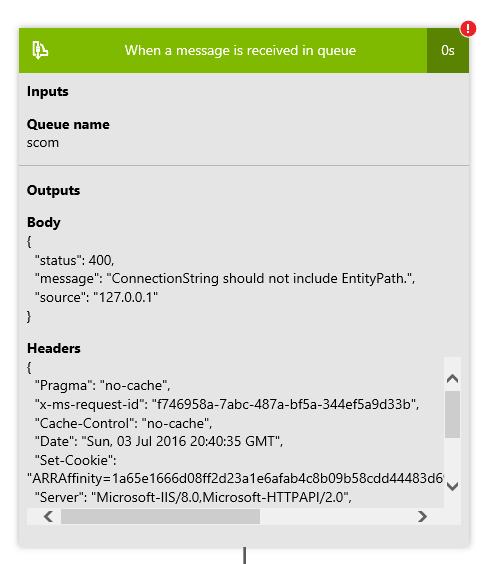 Unlike queues and topics, a relay doesn’t store in-flight messages-it’s not a broker. Instead, it just passes them on to the destination application. Event Hubs, which provide event and telemetry ingress to the cloud at massive scale, with low latency and high reliability. 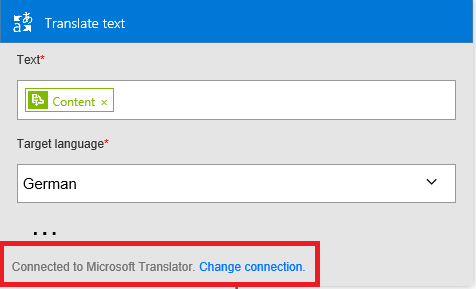 Then provide a name for your namespace, in my case I have choosen returnone, configure the type which is Messaging for our Queue and the Messaging Tier I choose Standard. If you want to know the differences go here. And finally choose the region, the closest place to your other resources. In my case West Europe. That’s it we have configured Service Bus and a Queue. 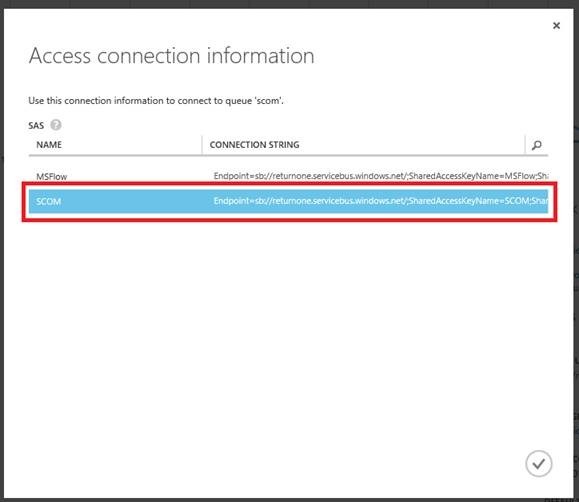 Next we will configure Microsoft Flow. 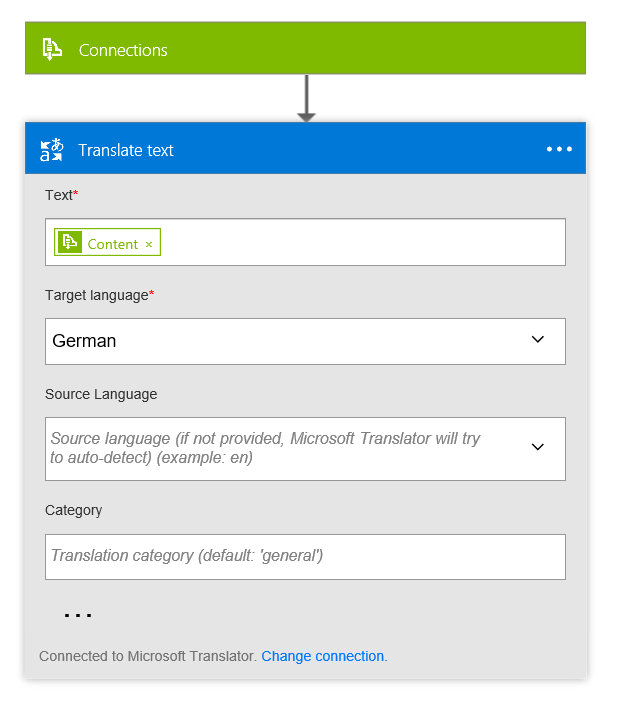 If you managed to setup the connection, add in the Text section the Content data from the previous activity and also select a Target language, in my case German…. 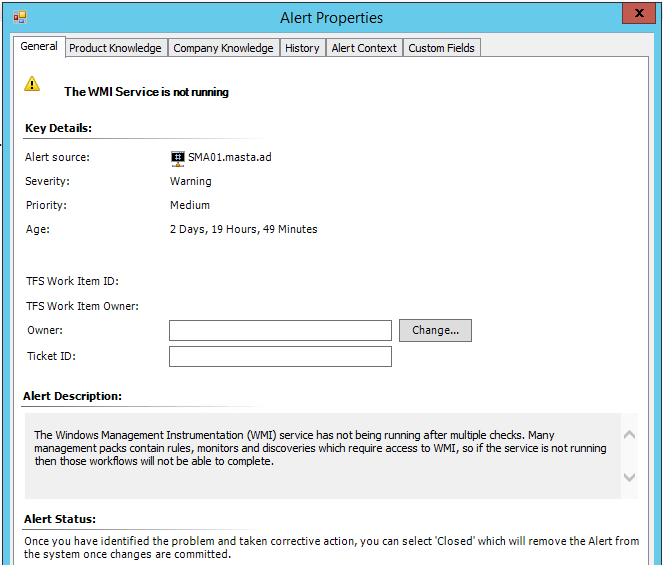 There are three string parameters, one for the alert name, one for the alert description and one for the mail recipient. You can download the script from TechNet Gallery, here. The Service Bus DLL is available here on nuget https://www.nuget.org/packages/WindowsAzure.ServiceBus/ . 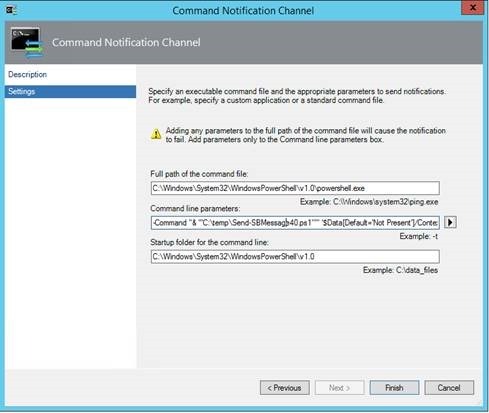 Next we will embed the script into the Command Notification Channel in SCOM. Well I am not going into details how to configure a Command Notification Channel, there are plenty of posts on the internet like this here, that explains very well how to do it. Next assign this channel to a Subscription which is also very well explained in this article. I hope you get this thing going and you have as much fun as I have!